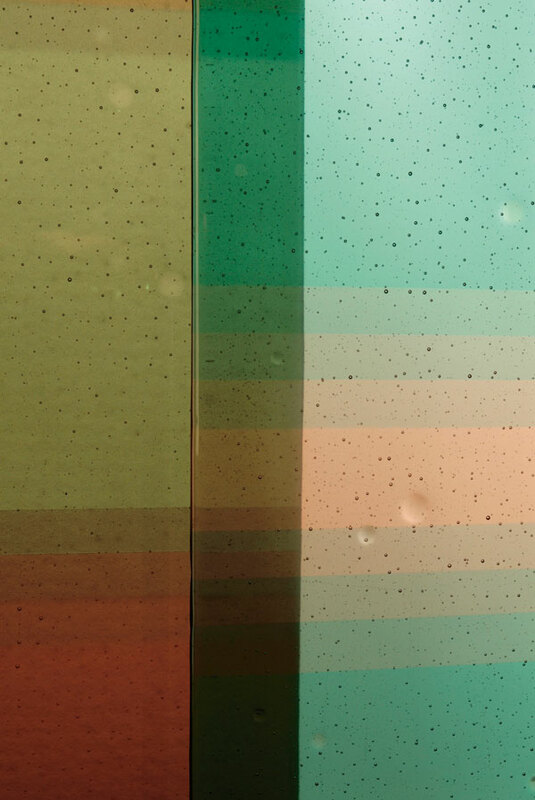 Suenn Ho chose color as the primary aspect of her Betweenness project. 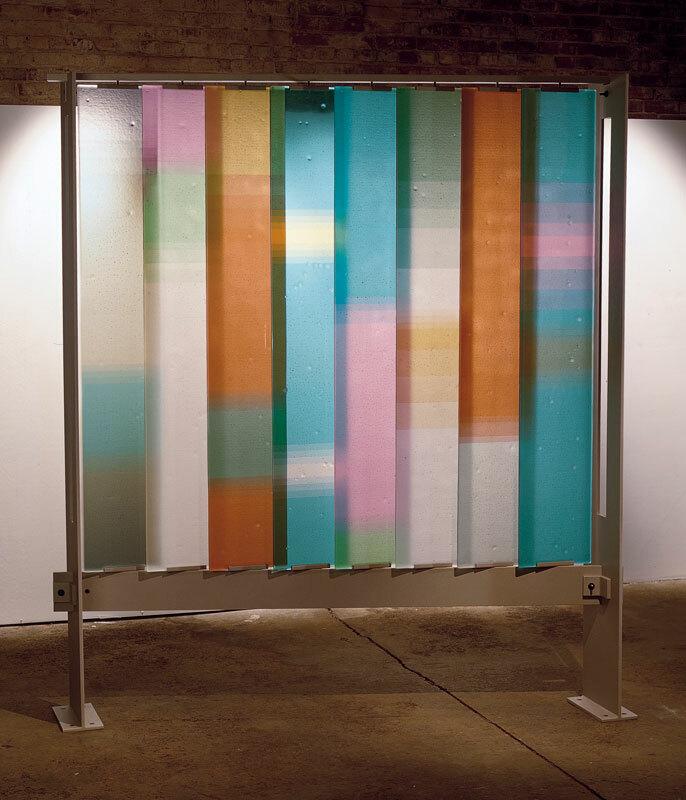 She was intrigued by changes, or color shifts, within the glass depending on the light source and viewing angle. 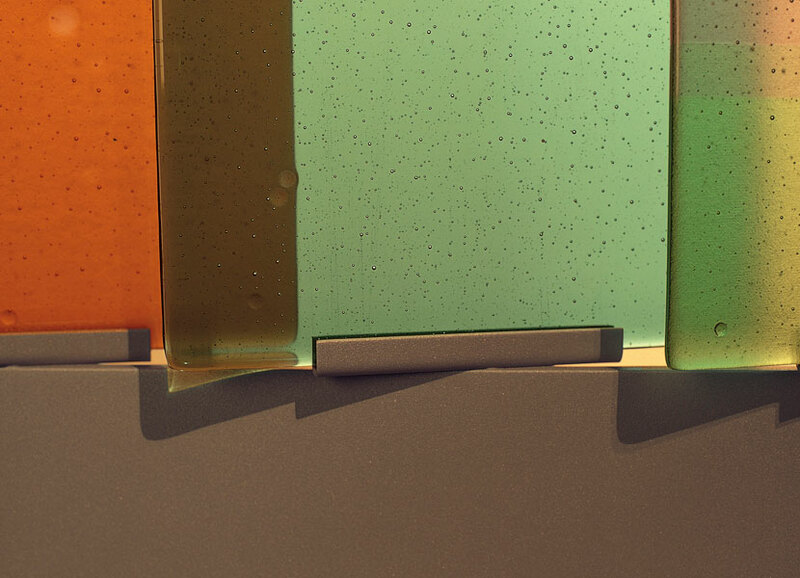 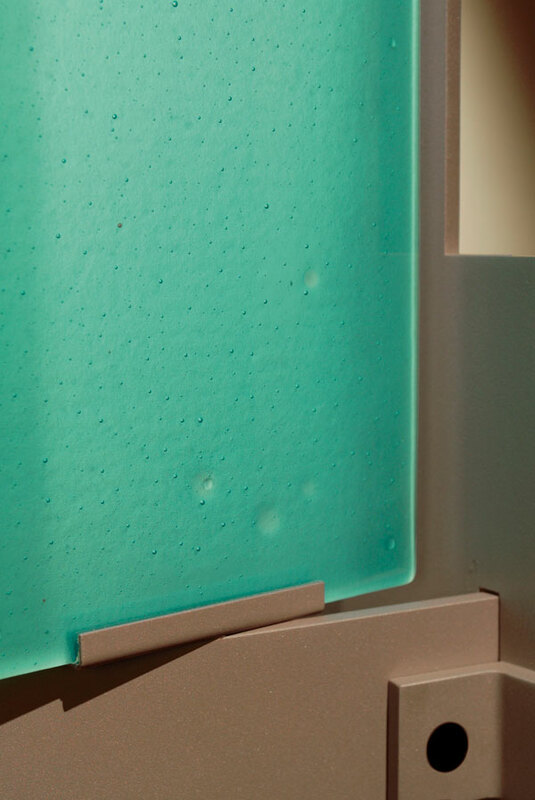 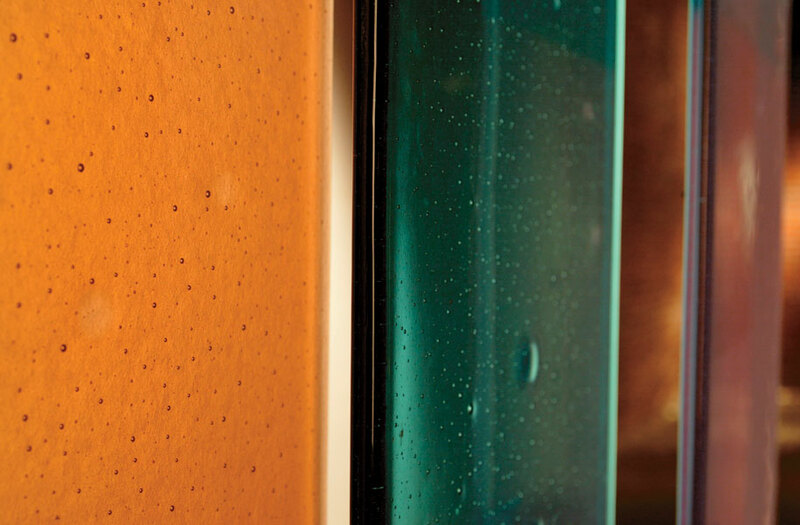 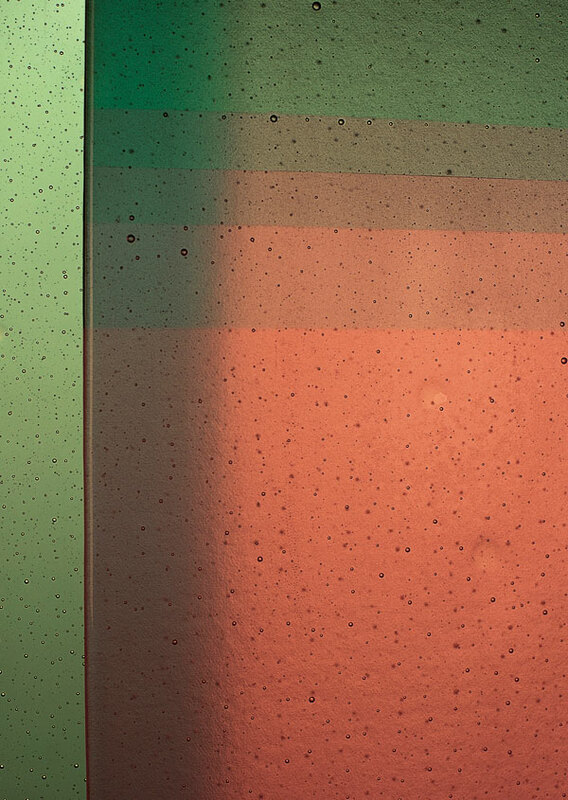 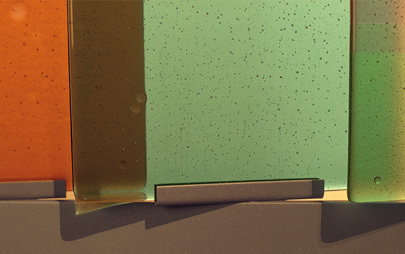 The process developed by Fireart to laminate two pieces of glass—a necessity in many architectural situations—using kilnformed rather than commercial float glass opens the door for dynamic uses of decorative glass in modern architecture while conforming to code specifications.